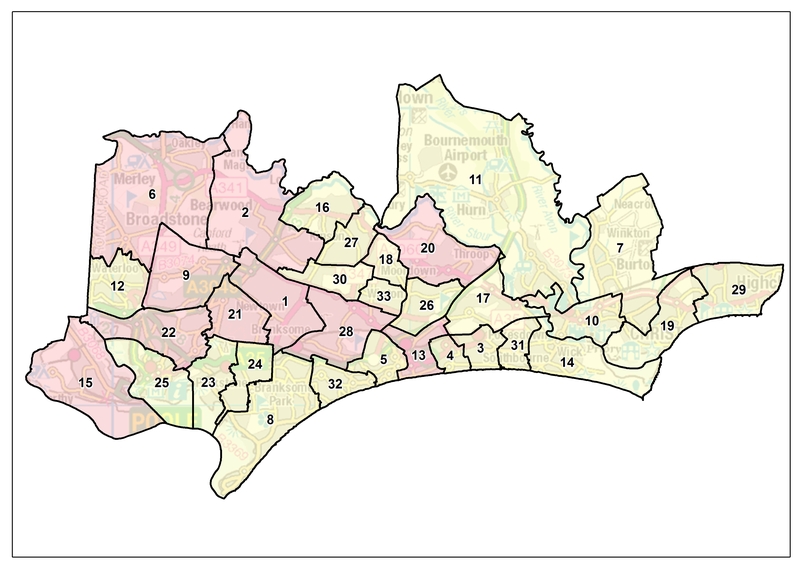 The independent Local Government Boundary Commission for England is asking local people to comment on plans for council ward boundaries across the new Bournemouth, Christchurch and Poole Council. In May, the government confirmed that local government in Dorset should change with the county and all other councils replaced by two new councils. In the east of the county, a new Bournemouth Christchurch and Poole Council has been proposed. The Commission’s consultation proposes ward boundaries to be used to elect councillors in the new authority. The Commission is asking for local views on the proposals before it finalises them in October. A consultation is taking place at the same time on new ward boundaries for Dorset Council which will cover the western part of the county. The consultation runs until 27 August 2018 and is open to anyone who is interested how they will be represented in Bournemouth, Christchurch and Poole. The Commission proposes that the council should have 76 councillors in total. The plans propose twenty-three two-councillor wards and ten three-councillor wards. The boundaries will come into effect at the first election for the authority in May 2019. Professor Colin Mellors, Chair of the Commission, said: “We are publishing proposals for ward boundaries for the new Bournemouth, Christchurch and Poole Council and we are keen to hear what local people think of the recommendations. Residents have from 3 July 2018 until 27 August 2018 to have their say about where ward boundaries for Bournmeouth, Christchurch and Poole Council should be drawn. The Commission will consider all submissions and aims to publish its final recommendations in October 2018. Once the Commission agrees its final recommendations it will lay a draft order in both Houses of Parliament. Parliament will then have 40 days in which to consider the recommendations. If both Houses are satisfied with the recommendations, the draft order will be ‘made’ and the new wards will come into effect at the council elections in May 2019.